Melasma appears as patchy shades of brown pigmentation on sun exposed areas of the face. Melasma is more commonly seen in females and those with darker skin types and usually gets worse in summer. The cause of melasma is unknown but many different factors may play a role. These include genetics, sun exposure and hormonal changes (e.g. using the oral contraceptive pill, pregnancy). People with skin of colour (pigmented skin), including those with Asian, Hispanic, Middle Eastern and Mediterranean ancestry are more prone to developing this condition. Ultraviolet radiation stimulates melanocytes (pigment producing cells) to produce more melanin (pigment). Recent studies have shown that blood vessel abnormalities within the patches of melasma can also contribute to excessive pigmentation. Melasma appears as patchy areas of light brown, tan or even dark brown pigmentation. The excessive melanin may be located in the superficial layers of the skin (epidermal melasma), the deeper layers of the skin (deep melasma) or in both layers of the skin (mixed melasma). A Wood’s lamp (a special light used to assess the skin) may be used to determine the location of the pigment. The areas of skin most commonly affected are the forehead, cheeks and upper lip. In rare cases melasma can affect the forearms. What other problems can occur with melasma? Melasma is not associated with any underlying medical conditions. Pigmentation involving more extensive areas of the body may require further investigation as it may be indicative of another pigmentary disorder or an underlying medical condition. Melasma is usually diagnosed after examining the colour and pattern of the pigment. 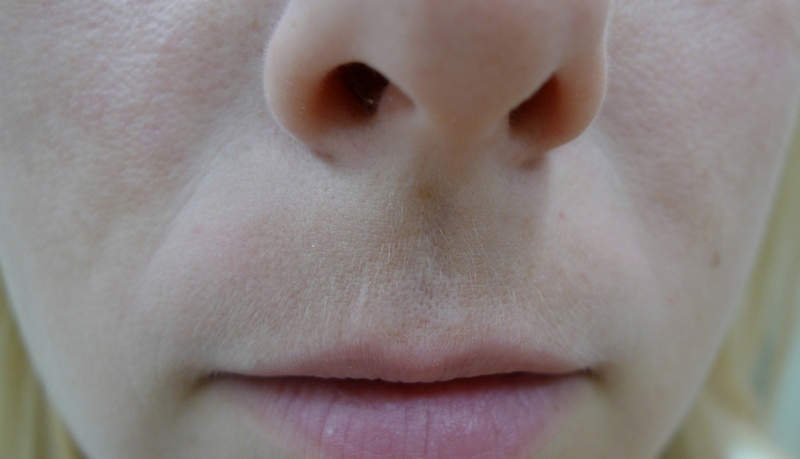 A small sample of skin (biopsy) may be taken to confirm the diagnosis and exclude other causes of increased pigmentation. Melasma is challenging to treat. If hormonal factors are implicated, the use of the oral contraceptive pill or intrauterine devices should be discontinued. Strict and absolute sun protection is essential with a broad-spectrum sunscreen (SPF 30+ or more). Sunscreens should be applied twice a day, 20 minutes prior to sun exposure. Broad brimmed hats should be worn when outdoors. Colour matched make-up can conceal the majority of melasma cases but in some instances the pigmentation is too dark to successfully cover up. Hydroquinone cream or lotion (2-8% either in a stand-alone formulation or mixed with other active ingredients) is the most widely used method to treat melasma. The higher the concentration of hydroquinone, the higher the incidence of irritant dermatitis (eczema). Hydroquinone should therefore be used for limited periods under the supervision of your dermatologist. Vitamin A creams including tretinoin can be used as a stand-alone treatment or in combination with other agents. These can cause skin irritation so their use should be guided by a dermatologist and closely monitored. Ascorbic acid (vitamin C) is sometimes used in addition to other treatments such as hydroquinone. Azelaic acid (20%) has been reported to improve cases of superficial melasma. Combination topicals: Hydroquinone, retinoid and topical steroid combination creams are currently the best initial option for melasma management. Medium to deep chemical peels should not be used to treat melasma due to a high incidence of complications. Laser and light based treatments should only be used in severe cases for which the abovementioned therapies are ineffective. A detailed discussion with your dermatologist about the appropriateness of laser therapy for your melasma is essential.The risk of complications is high and a small test treatment is therefore initially performed to ensure that the pigment does not react by becoming darker. Multiple treatments are necessary to see a noticeable improvement.Only certain lasers should be used and these should be used with extreme care, under the guidance of a dermatologist. 1064nm Q Switch Nd Yag laser, at low power settings, is to date, the most promising laser treatment for melasma. 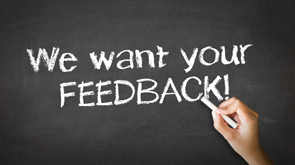 Several treatments are required over many months to see improvements. Vascular laser treatment may be used to treat the melasma if it has a red component (erythrotelengiectatic subtype of melasma). Non ablative fractional laser treatment is not commonly used, but has been reported in the literature. Ablative fractional lasers are only appropriate for those with light skin. Complications are high if used in those with pigmented skin. 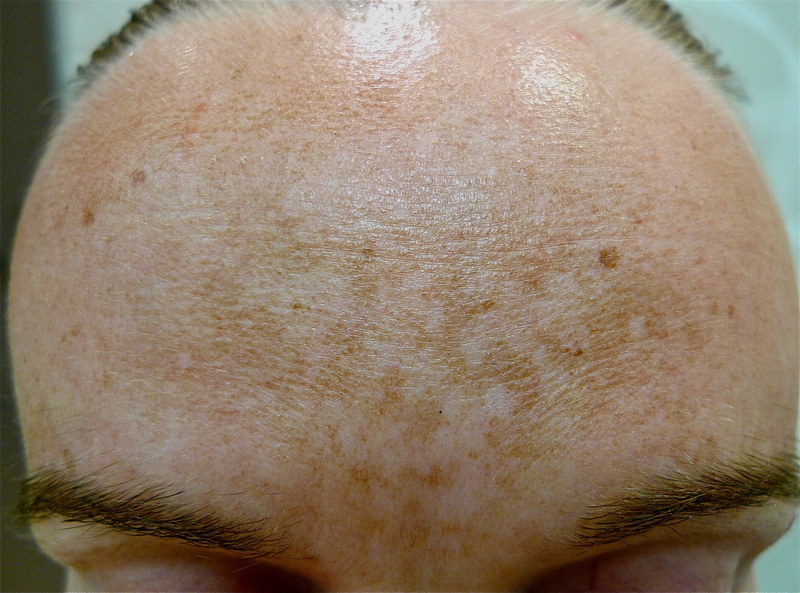 Intense pulsed light (IPL) can be effective in some cases of epidermal melasma in lighter skin types only. It should be noted that even if treatment is effective, recurrence of the condition is common. 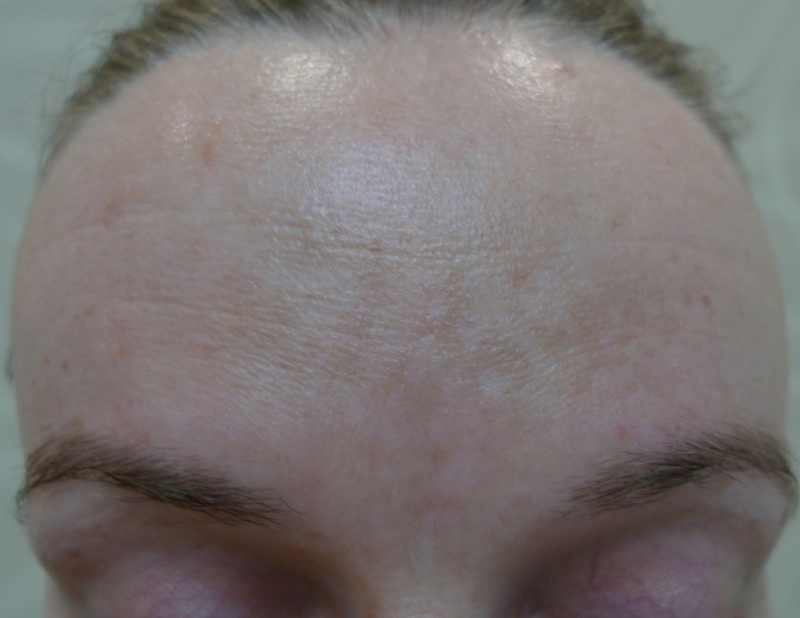 Fully ablative lasers are NOT recommended for the treatment of melasma as the risk of complications is too high. Tranexamic acid has been reported as a promising treatment for melasma. It is now being used in a tablet form by selected dermatologists for melasma that has not responded to creams. Further evaluation of the effectiveness of this treatment will require more studies in different centres.Newer Q-Switched picosecond lasers may prove to be more effective than the current nanosecond Q-Switched technology. This, however, will require further research before recommendations can be made for its use in the treatment of melasma. What is the prognosis/likely outcome of melasma? Epidermal melasma has a better prognosis than mixed or dermal melasma but all types are recurrent and require ongoing maintenance therapy. Melasma associated with pregnancy has the best chance of improvement with pigment gradually fading over months. 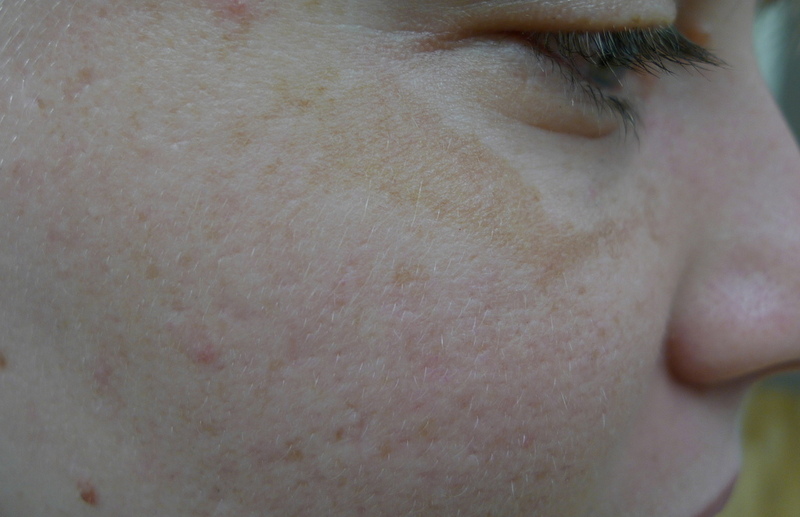 However, melasma often recurs in subsequent pregnancies.